At The Old State House of Web Design & Development, you already know that we love quality, we love design, and we love inspired brands. But we also love food! And we've worked with some pretty amazing names....like NorthPark, TCU, Laura Lee Clark, Allan-Knight, etc. So we know a thing or two on the subject of what's awesome. 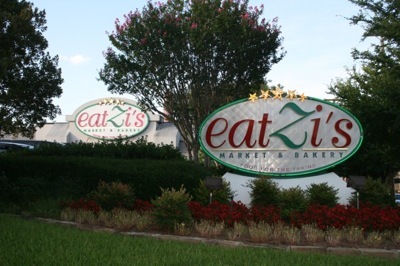 And all of the things we love come to together brilliantly at eatZi's at 3403 Oak Lawn Avenue. Wow. If you haven't been, make a beeline for it. But you might have to compete with a Maverick basketball star or two for just the right spot, or that last incredible breakfast burrito (either a healthy one or otherwise). And never let your hand venture into the feeding zone of a patron enjoying eatZi's delicious deli items, cheese, sushi or house made salsa, because it might get ugly if you get too close. It's all that good. Now, I must admit to a trick I use on family and friends. Please don't tell, because it works every single time. I have the good fortune of living within blocks of eatZi's, so if I want said person to come over fast, I simply offer up the prize of an eatZi's iced coffee....my treat. Suddenly the cross-city trip to my house takes them only 4 minutes instead of the usual 20. Voila, mission accomplished. The reason is their coffee is better than national brands...no burnt taste! And never underestimate the power of shaved ice in an iced coffee. It's simply not something I'll ever let myself live without. Delicious! Another thing that's so great about eatZi's is their staff. Always helpful, always funny and cheerful. 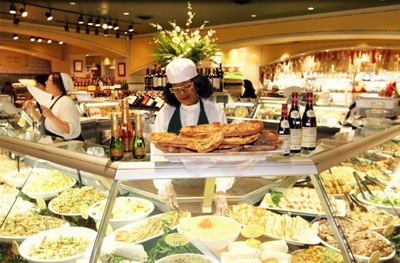 And all are infinitely genius in the preparation and delivery of exquisite gourmet food! 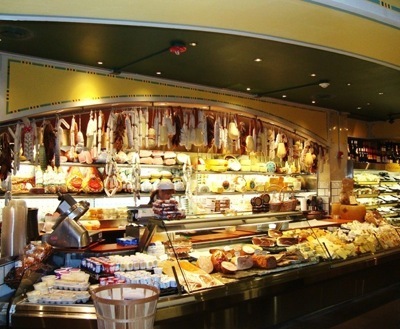 Quite frankly, eatZi's has become like home away from home for many. Including me. My personal favorites are Vergi and Letty behind the coffee counter in the mornings. Hilarious, interesting, efficient. And they have many patron friends. I also really enjoy talking to pastry chef Janet Monroe. Take one look (and one bite) of anything she concocts and you'll be in pastry heaven! Executive Chef Casey Shanower is...well....brilliant. And managers Barry Partos, Lisa Larrabee, Koshy Samuel, Ben Pontious and Suzanne Slover will stop whatever they're doing to assist or advise on the perfect choice among many ridiculously delicious delicacies. 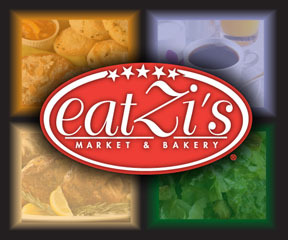 OK, here's a newsflash, I heard through the grapevine that eatZi's is adding more stores. And to true eatZi's aficionados, that's like a stranger asking you if you'd like ten solid gold bricks instead of just two. So now the world may just have multiple gourmet heavens on earth. And that's fine by us...as eatZi's fans like to protect their own turf. And in the meantime, I plan to park myself every single day in my favorite chair at the eatZi's at Rawlins and Oak Lawn in Dallas.